A delicious and easy appetizer for entertaining. So too, the Hebrew word “balagan.” It translates to something like “chaotic, confusing, disorderly,” and so on. But if you really want to understand its meaning, come to a Purim celebration. On Purim we discard the usual rules of synagogue decorum and have a big, noisy, hilarious costume party instead. We tell our kids to stomp their feet and yell or make loud noises with their graggers whenever they hear the name “Haman,” the evil man who tried to annihilate the Jews of ancient Persia. After the reading of the Megillah and all the clatter, we are supposed to go home and eat, drink and make merry! And you will need a little snack to complement all your drinking. 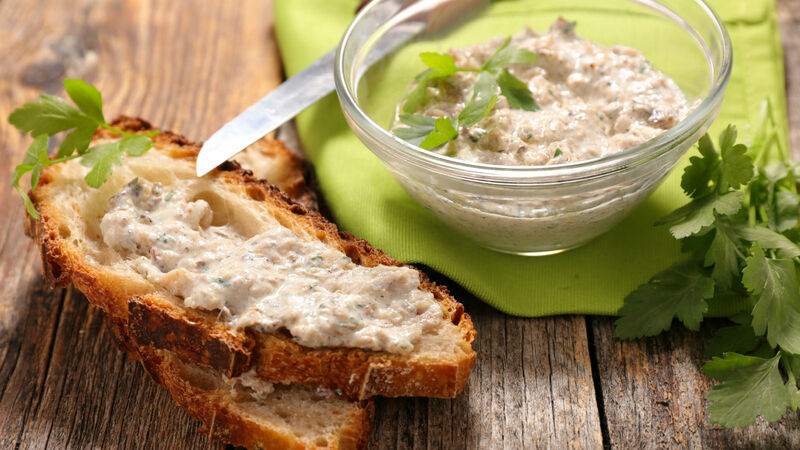 Like this smoked trout spread. You can serve it with crackers or slices of baguette and have your guests help themselves. You can make it into a dip for crudités (add a bit more milk or yogurt to soften it somewhat). In either case, make it ahead — even a day — before the festivities and all the wine you might be drinking. Place the trout chunks, cream cheese, scallions, milk, lemon juice and horseradish in a food processor or blender and pulse until well-mixed. Add more milk if the mixture seems too thick. Spoon the mixture into a bowl to use as a spread. Garnish with dill if desired. To make canapés: About 30 minutes before serving, spread equal amounts of the trout mixture onto crackers or bread slices. To make a dip: Mix in more milk to obtain a soft consistency (2-3 more tablespoons, approximately). Get ready to fall in love with this comforting, cheesy Jewish dish.